Federal authorities arrested Joseph Tigano III in 2008 and charged him with running a marijuana-growing operation. Tigano entered a plea of not guilty and insisted that his case move quickly to trial. Instead he languished in pretrial detention—jail—for nearly seven years before he finally appeared before a jury, which convicted him in 2015. In an opinion issued this week, the U.S. Court of Appeals for the 2nd Circuit dismissed Tigano's indictment "with prejudice" on the grounds that his "oppressive period of pretrial incarceration" violated his constitutional right to a speedy trial under the Sixth Amendment. The criminal justice system's treatment of Tigano is appalling. During his nearly seven-year pretrial incarceration, Tigano loudly and repeatedly invoked his Sixth Amendment right to a speedy trial. Because Tigano kept bringing up the Sixth Amendment, he was forced to undergo three separate court-ordered examinations to determine whether he was competent to be tried. According to one of the prosecutors involved in the case, "Mr. Tigano III had been sort of demanding his speedy trial, which is part of the prompting for the Court sending him out for this evaluation." Tigano passed all three exams with flying colors. The 2nd Circuit was correct to toss out Tigano's conviction. The framers and ratifiers of the Constitution viewed trial by jury as a fundamental right. Article III, Section 2 of the Constitution says "the Trial of all Crimes, except in cases of Impeachment, shall be by Jury; and such Trial shall be held in the State where the said Crimes shall have been committed." Because that language was not strong enough to satisfy the Anti-Federalists, the Sixth Amendment was added to the Constitution as an extra safeguard in 1791. "In all criminal prosecutions," it reads, "the accused shall enjoy the right to a speedy and public trial, by an impartial jury of the State and district wherein the crime shall have been committed." In a 1789 letter to Thomas Paine, Thomas Jefferson expressed the opinion of many in the founding generation when he praised the right to trial by jury as "the only anchor ever yet imagined by man, by which a government can be held to the principles of its constitution." It was this bedrock constitutional right that Joseph Tigano III invoked again and again during his pretrial incarceration. And it was because Tigano kept invoking this right that he was made to suffer the punishment—there is no other word for it—of being left to rot in a cell without trial for 6 years, 9 months, and 26 days. As the 2nd Circuit observed, Tigano's detention "appears to be the longest ever experienced by a defendant in a speedy trial case in the Second Circuit." If that doesn't violate the Sixth Amendment, what does? Tigano's ordeal illuminates a much bigger problem. Consider what Assistant U.S. Attorney Thomas Duszkiewicz had to say about the third competency examination that Tigano was forced to undergo. It was sparked "not necessarily [by] the competency question," Duszkiewicz said, "but [by] whether there is some other psychological problem that's going to prevent [Tigano] from understanding the difference between what he potentially looks at as far as a conviction as well as what's being offered by way of this plea." Translation: Federal prosecutors piled on the charges expecting Tigano to plead guilty to a lesser offense and save everybody the trouble of going to trial. The prosecutors also let it be known that if Tigano rejected their deal, they would throw the book at him and he would forfeit his shot at "what's being offered by way of this plea." In short, sacrifice your Sixth Amendment rights and you'll do less time. That coercive approach is standard operating procedure among prosecutors in criminal cases. According to the Justice Department, 97 percent of federal criminal convictions result from guilty pleas. At the state level, the figure is roughly 94 percent. In other words, only a tiny number of criminal suspects ever go to trial. 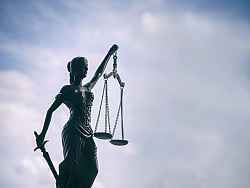 For all practical purposes, the Sixth Amendment right "to a speedy and public trial, by an impartial jury of the State and district wherein the crime shall have been committed," has been largely abolished. [W]hat really puts the prosecutor in the driver's seat is the fact that he—because of mandatory minimums, sentencing guidelines (which, though no longer mandatory in the federal system, are still widely followed by most judges), and simply his ability to shape whatever charges are brought—can effectively dictate the sentence by how he publicly describes the offense. For example, the prosecutor can agree with the defense counsel in a federal narcotics case that, if there is a plea bargain, the defendant will only have to plead guilty to the personal sale of a few ounces of heroin, which carries no mandatory minimum and a guidelines range of less than two years; but if the defendant does not plead guilty, he will be charged with the drug conspiracy of which his sale was a small part, a conspiracy involving many kilograms of heroin, which could mean a ten-year mandatory minimum and a guidelines range of twenty years or more. Put another way, it is the prosecutor, not the judge, who effectively exercises the sentencing power, albeit cloaked as a charging decision. Now recall the words of Assistant U.S. Attorney Duszkiewicz in the Tigano case. He said the judge ordered the third competency exam to make sure that Tigano understood "the difference between what he potentially looks at as far as a conviction as well as what's being offered by way of this plea." Put more bluntly: In a system that has gutted the right to trial by jury and given vast and virtually unaccountable power to prosecutors, only the "crazy" would dare to exercise their Sixth Amendment rights.